Stevie and Train sit down to review the golden globes. 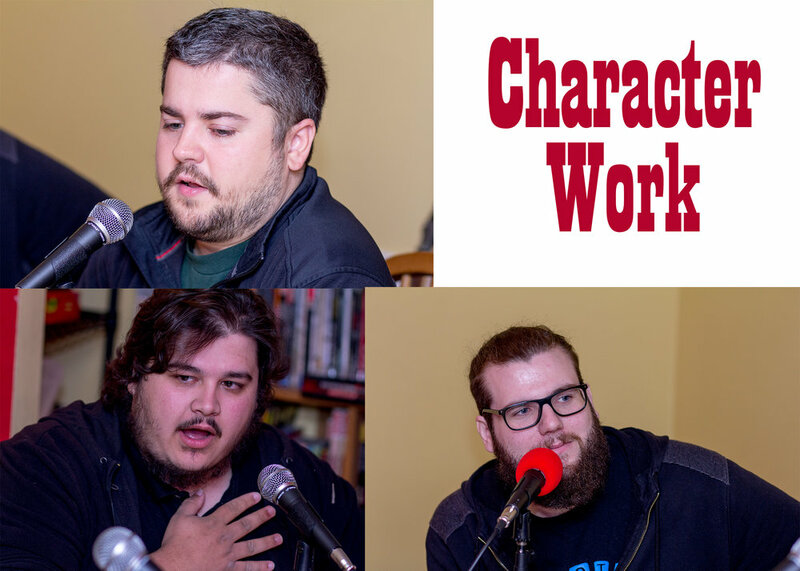 We are back with another episode of Character Work, This time a cooking show. Cheyne and Gabe are back with a new episode. Stevie and Train are back to review the holiday classic, Krampus. Cheyne and Gabe drop character and just be real for a episode. Cheyne and Gabe are back and we are going political this episode, but in a fun way. One of the first episodes of Stevie and Train, reviewing the film The Blair Witch Project. Including a special guest. We talk about space man, get off our backs man we just want to be free.